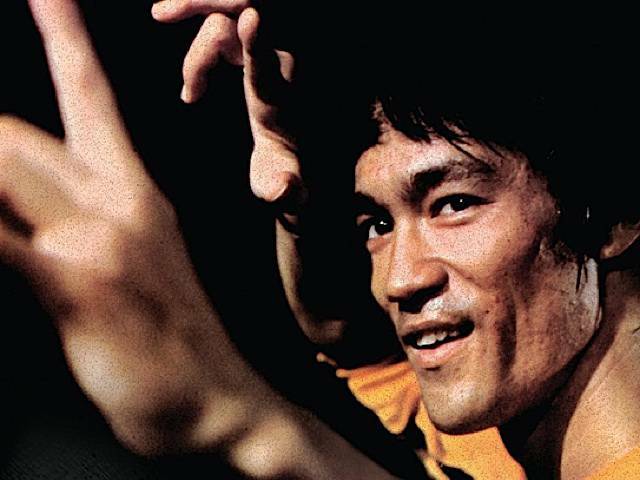 Why Was I Not Informed About Bruce Lee? I am going to try to remain calm and keep in mind that you purport to be decent, rational people. As my parents and peers, you supposedly have my best interests at heart. But over the past 80 minutes, it has come to my attention that there exists a series of films featuring a man capable of the most unbridled and elegant awesomeness, a man capable of knocking a guy out with a punch started one inch away from his enemy’s chest. That I somehow reached my twelfth year of life without anyone alerting me to this fact is beyond my comprehension and, ultimately, inexcusable. I have always tried to present myself as the type of person who enjoys watching dudes fight other dudes with iron claws. In the past, many of you have possessed the presence of mind and shown the consideration to inform me about firecrackers, battling robots, and guns that shoot paint—and I appreciate that. But in no way does that justify the fact that you have hidden from me the very information which may be most crucial to my existence: that a man named Bruce Lee can break a guy’s leg and arm in two punches and then snap his neck with one arm. These past 12 years have been an utter waste. Do I not look like a person who would benefit from the knowledge that Bruce Lee actually asks people to kick him in the face? How am I to believe anyone cares about me at all when it is the year 2007 and I have only just now, for the first time, watched this man clench his fists and crack all the bones in his body? The matter of Bruce Lee and his incredible kick-assness should have been brought to my attention months—nay, years—ago. If by no one else, then at least by my parents, who have an obligation to provide me with food, water, and shelter, as well as to make sure I am kept fully abreast of any awesome guys who can punch so fast it’s like they have 40 fists. Is this not their responsibility as my guardians and role models? God only knows what long-term effects their negligence will have on me. The tragedy is, it would have been such an easy thing to do. Someone could have simply sat me down and said to me in a calm, clear voice, “Sam, Bruce Lee can whip nunchucks around like a hundred times per second.” I could have taken it from there. But for some reason that I cannot fathom, I was kept in the dark. I have been going to school and playing outside with my friends, and all the while I could have been sitting at home watching someone do a one-handed push-up using only two fingers. And he can. I’ve seen it, and it’s beyond awesome. But Bruce Lee’s unquestionable awesomeness is hardly the issue here. I have witnessed him taste his own blood from a wound and then go nuts on this one guy, so it’s not up for debate. You say you love me, and yet there is a man who can jump like four feet into the air and kick a guy five times before landing—and you kept it from me. That can hardly be called love. Perhaps you took some kind of sick joy in my ignorance. Maybe all of you have formed a regular gathering of some kind to share a hearty laugh at silly little 12-year-old Sammy Potts, who still thinks Chuck Norris is cool, when there exists in this world another, better guy who actually kills Chuck Norris in one of his movies. Oh, how you must have laughed. Let me make one thing perfectly clear to avoid any misunderstandings like this in the future: If you know of any men who can casually stand on live cobras while sending a telegram, or scissor kick a dude who’s still hanging onto his foot, alert me immediately. Now if you’ll excuse me, I must go repeatedly tell everyone I know.